Duncan Hyam, Johannesburg – In his letter “Offer us the best of our Church to stem exit“, Frans van Neerijnen offers a significant number of suggestions regarding engaging Catholics to keep them from leaving for Pentecostalism. Among them is RENEW groups. Mr Van Neerijnen says, “Renew was a good attempt at getting small groups going but there was no follow-up and no ongoing programme.” Since he also refers to Alpha in Bryanston parish in Johannesburg, I assume he is from there. RENEW Africa is indeed running in Bryanston parish and has been in the Johannesburg, Pretoria, Klerksdorp, Port Elizabeth, Swaziland, and so on for some years. In fact, I spoke at all Masses in Bryanston recently and completed a workshop there about the programme. Several thousand people in Johannesburg archdiocese have been following it since 2012. The RENEW Africa process has segued into “Why Catholic?”, a way for Catholics to use the Catechism as well as the Scriptures to understand and develop our faith. Other processes intervene from time to time for specific purposes, such as “At Prayer with Mary” and “Forgiveness and Reconciliation”. What we are using for Lent 2019 is called “Live Lent!” It discusses the relationship of the Sunday Mass readings in Lent to the Old Testament, and provides a daily meditation, a Small Christian Community prayer, learning, faith sharing, and a call to action each week. The “Why Catholic?” process is also ideal for people who have just completed the RCIA for adults or who are in Catholic Alpha connect groups who need material to continue. There are further options for us to follow after “Why Catholic?”, which I am sure would satisfy Mr van Neerijnen’s need for follow-up and a continuing organised programme. We also have a slot, “Renew On Air”, on Radio Veritas at 20:00 on Mondays (repeated at 17:00 on Saturdays). If anyone should care to contact me at duncan@hyam.co.za I would be delighted to provide further information about Small Christian Community groups in your area or how you can get them started. 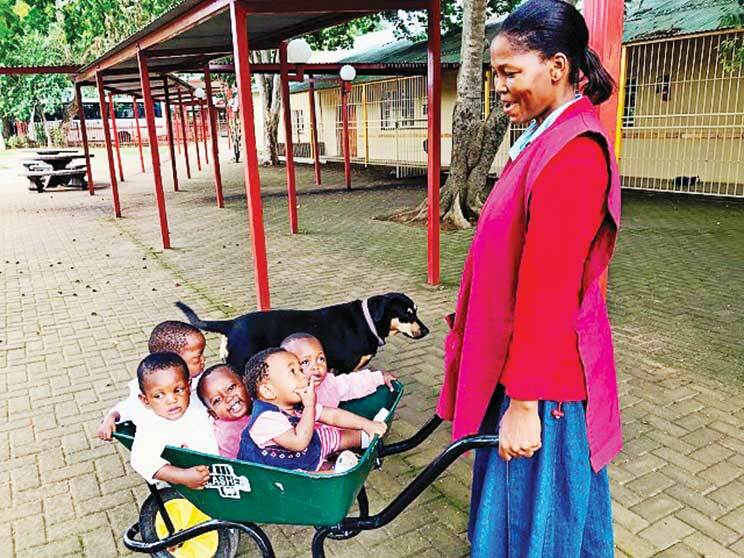 Previous story Meet the Children of Holy Family Care Centre in Ofcolaco, Limpopo!